For Episode 3: A Whole New World, Sarah Shafer (who wrote Episode 8: The Chat Room) penned three hilarious Wikipedia-style articles to appear on the screen while the Captain is reading up on the Sniqsay. We thought you might like to see them. We have a trailer! Season 2 premiers tomorrow, so if you’re excited, spread the word! And if you haven’t already, you’ll want to subscribe on YouTube so you don’t miss an episode. It’s time to catch up with our production designer, Rebekah Shafer! Rebekah Shafer: I’m sort of a jack-of-all-trades. I’ve helped with brainstorming, writing, costume and visual design, acting, and even cooking. 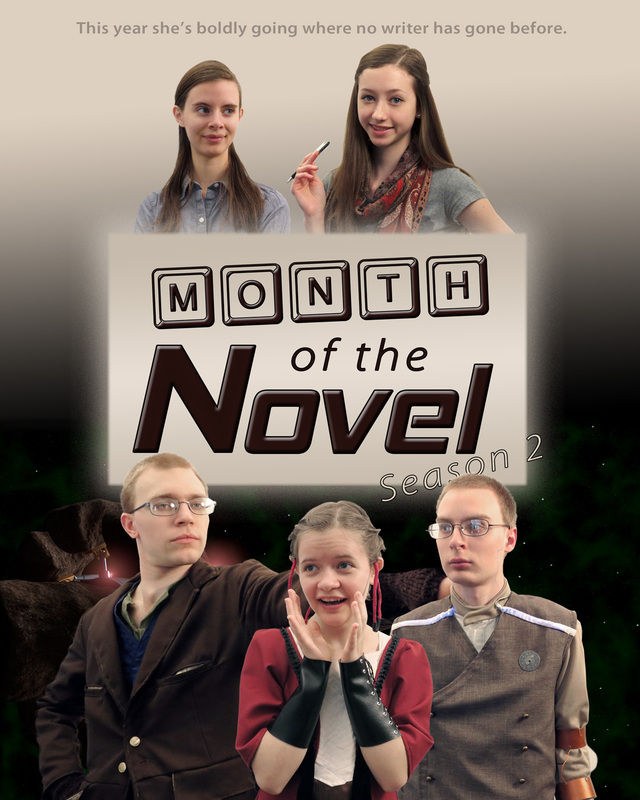 This month, we talk with Laura Rozar, who stars in Month of the Novel as the Writer. Laura Rozar: I play the Writer and the Voice of Doom. We’ve been plugging away at the Season 2 episodes, and we’re getting close to having everything to the point where the picture looks pretty. Our VFX guy has been doing some great special effects, and our composer has done some great score concepts. And so, since it’s the end of the month, I thought I’d give you a few sneaky looks at Season 2. Click any of these to see them bigger. Benjamin Dawson, the composer for Month of the Novel, has been working on concepts for the second season’s music. Here’s his concept Month of the Novel Season 2 Suite. Enjoy! Over on the Phantom Moose Films blog, Jordan breaks down the differences between Malfhok from the iSundae films and the Computer from Season 2. You’ll want to read the full post, especially since there are some new tidbits and still frames from Season 2 included.